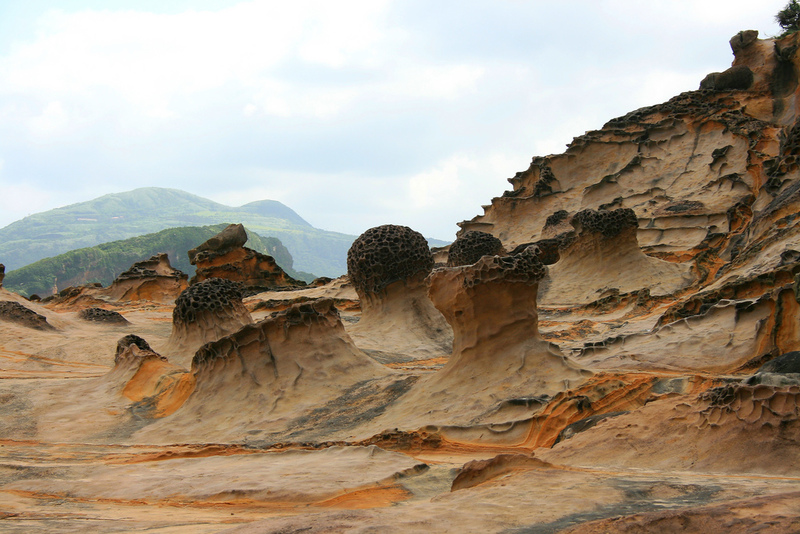 Yehliu, Taiwan. A beautiful, surreal piece of Earth. Thin-necked, knobby-headed hoodoos stretch up out of the pale, rocky ground. It would be eerie and otherworldly if it weren’t for the flocks of tourists, shaded by frilly umbrellas, milling along the roped-off paths, taking the same photo again and again and again, checking the numbers on their maps to figure out what rock formation they’re at. I came here for some solitude. I bussed it up here for two hours to get out of the crowds of Taipei, and I’m kind of annoyed that this is the peace and quiet that greets me. Same crowds, different backdrop. 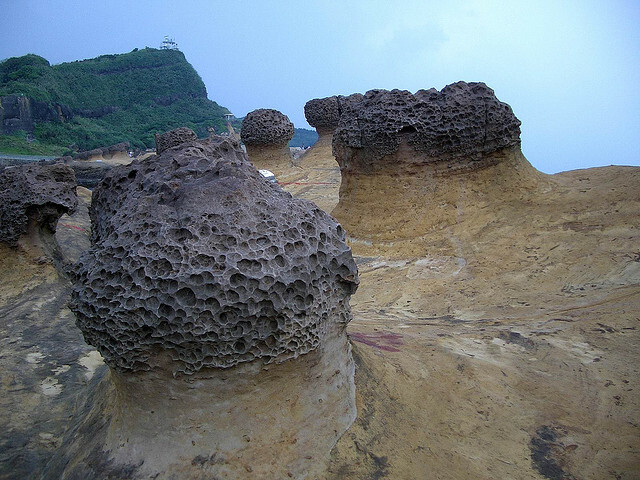 Yehliu coastal formations. Flickr photo courtesy of Ang. Past the hoodoos, the small, jungle-covered Cape rises steeply as it juts out into the Pacific. The northern side drops off sharply to the ocean, while the south side tapers down more gradually. 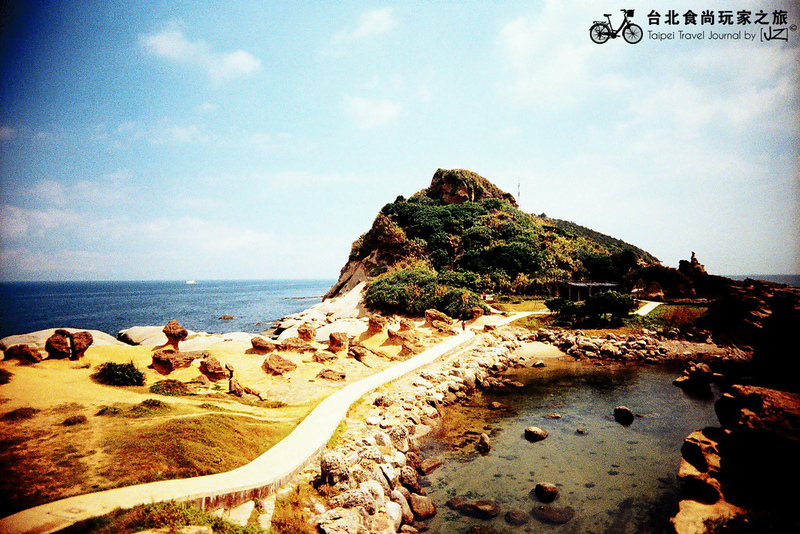 Bypassing the tourist track, I find a set of stone stairs, a typical Taiwanese hiking trail, leading up onto the cape. After a while, I find myself following a narrow side trail off of the main one. It disappears into the jungle, getting more and more overgrown, until it’s clear that there’s no longer any trail at all. Still, I push onward. It’s a familiar feeling, to be telling myself “one more step,” just a little further. Just keep going. All sense tells me to turn back. Fear and worry begins to tickle my stomach, and then twist it. How far am I from the path? Aren’t there poisonous things out here? Will anyone hear me if I yell? I keep going, brushing past deep green leaves as big as tables, climbing over roots and stems as thick as my legs. After a while, I see up ahead what looks like a natural wall of rock and greenery. There’s a little gap in the rocks with a small branch cutting across it, and when I swing under the branch and push the leaves aside, I find the world bursting open in front of me. I’m standing at the very edge of the cliff, with just a waist-high chunk of rock holding me back. In front of me is the open sky, the ocean, completely unobstructed for as far as I can see. If I crane my neck far enough to the left, I can see the coast line far below, but straight ahead, the only sign of civilization is a sailboat cutting across the blue. All the more marvelous because an instant before, I was buried in thick jungle. Even years later, I still find myself thinking of it as my own, private, magical little piece of the world. I find myself coming back to this moment often, especially at times when I’m setting off on a very uncertain path. When I’m wracked with self-doubt and fear about what the future holds, it helps to hold onto this little metaphor from my travels. There are times when the path seems to have disappeared entirely, and it’s hard to see what’s up ahead. It can be hard to know if there’s anything but more dense, dark jungle. But it’s only when you keep going, just a little further, when trust yourself and trust where your own path is taking you, that you discover those magnificent views that make it all worth the struggle. Your entries are so beautiful! I feel very at home reading each one. I think you lead your life in a most commendable way. Thank you!